I want some tall black sidewall tires and put on white letter decals, to resemble the Good Year tires, they ran back in the day. I have been looking at something like 265/70-15. I believe they would fit the fender wells. Does anybody have pictures of their Monte fittet with something similar? I have 275's all the way around (40s in the front, 50s in the rear) -- with the lowered stance, this is about as much as I could stuff in there without worrying about rubbing issues. I would think 265's should work. Sweet looking ride sir. Are those 15" or something bigger? Thanks for your input! JF74Chevelle do you have pictures of your setup? a view from the side and such? 265/70 is a pretty tall tire but I think it could look alright, for a nascar kinda look. marx3 wrote: Thanks for your input! JF74Chevelle do you have pictures of your setup? a view from the side and such? I ran LR60-15 BFG T/As on 8 inch Corvette rally wheels all the way around during my street driving days. No issues. Is there a way to post a photo directly from my laptop, rather than a photo hosting site? All of my photos are on Photophucket. fasrnur wrote: Sweet looking ride sir. Are those 15" or something bigger? Not sure if this was for me or marx3, but if it was me, thank you very much! Wheels are 17x9 with 6" backspacing and a 5.5" bolt circle. Took some finagling. thatfnthing: your car IS very good  my. If I wasn't going for the NASCAR look, I would propably look into something 17" as well. How did you end up with 5x5 pattern? Keith Seymore, that sound exactly like what I wanna do! on Photobucket you can click on "direct image link" and paste it into this thread. Not anymore - unless you pay to host images on Photobucket. You have to host pictures on a site to be able post them here. Hey Marx. Henrik here. Im running a 275/60 15 on 8 in the back of my chevelle. Its not even close to Being filled up. Im pretty sure i can fit a lot more Meat in there. 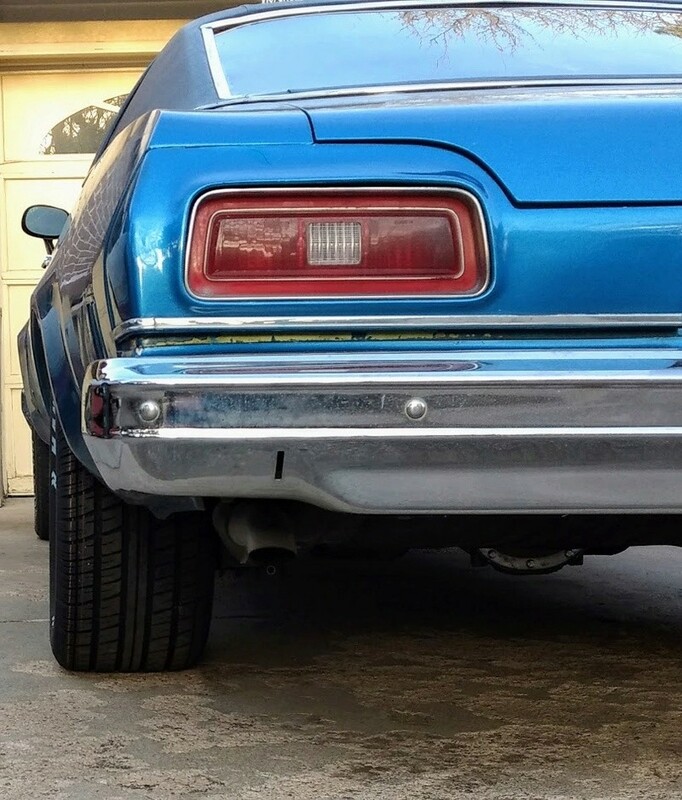 What brand tire are you thinking of using, cause im not sure it is easy to find a 70s profile tire that wide here in Europe, unless its some kind of 4x4 thing. What size did the original nascar guys use. The rims are easy to find now with the soft 8s and such on the marked. But tires are a different story all together, they will be expensive if you find that size at all. marx3 wrote: thatfnthing: your car IS very good  my. If I wasn't going for the NASCAR look, I would propably look into something 17" as well. How did you end up with 5x5 pattern? Thanks! Really I saw the wheels and thought they'd look good on the Monte. Problem was, they were on a 97 Dodge Ram SS/T pickup at the time. As far as pics go, it is easy to host direct from your computer or phone. Their is an icon above the comment box that says "host an image" when you hover over it. Click that. You then choose the file you want to host, then send all,then insert all. You can preview to make sure you did it right or verify the image. Then send the post and you are done. As far as tires, 295/50-15 or 275/60-15 on an 8 or 8.5 wide rim is the closest look to a Nascar setup in my opinion. Those two sizes are still relatively easy to get and be affordable. Their is one guy that is running actual Nascar spec tires, but I am not sure of the comparable size street tire. I believe he is more active on FB also. Here are a couple of pics of my cars that both have 295/50-15 on 8" rims. The blue one has 4" backspace, and the red has 4.5" backspace. Uploaded using the process described above. bigredlaguna wrote: As far as pics go, it is easy to host direct from your computer or phone. Their is an icon above the comment box that says "host an image" when you hover over it. Click that. You then choose the file you want to host, then send all,then insert all. You can preview to make sure you did it right or verify the image. Then send the post and you are done. Thank you; that's not going to work for me because the GM security firewall blocks it (it finds it "suspicious"). I may have an end around; let's see if this works. with some frame rework I was able to fit a 13.5" wide tire on a 10" wide rim. No revisions were required to the body side. Wow, now THAT is good looking... What size were they again Keith Seymore? You won't need stencils. www.tirestickers.com will set you up with permanent stickers in any color you want. LR60-15; that's probably 28 ish inches tall and I seem to recall they were 9" wide at the tread. I have bassett 10" on all four corners with nascar Goodyear 27.5x12x15 on all four. 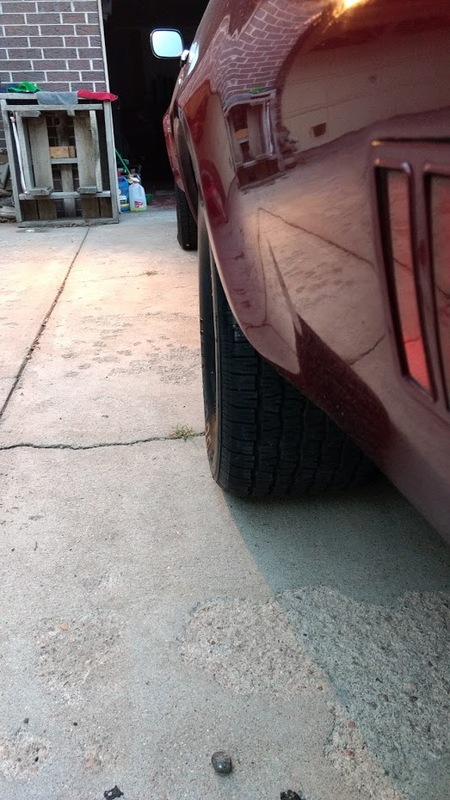 Wheel offset is 5" right down the middle. Just have to cut or roll the rear lip a little. And on the front had to shave a bit off the lip of the stock upper control arms so it doesn't rub when you turn the wheels all the way one way or another. Nice info guys, thanks alot. I wonder if they will stick to a regular blackwall tire ( not a slick type ). I am getting more and more hooked on finding another pair of 10" Aero's. The super cheap 265/70-15 tires I found will propably not look very balloon-like on a 10" rim. They will propably look really good on the 8" though. So 10" on all four will definately look absolutely amazing, but maybe 8" rims with 265/70 will do the job also. » Tall and skinny front tires or short and wide?